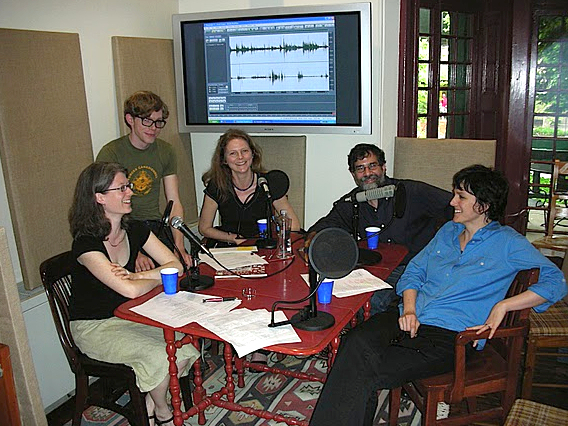 from left: Erica Kaufman, Bernadette Mayer, Al Filreis & Julia Bloch—during a live interactive webcast that preceded this PoemTalk session by a few hours. 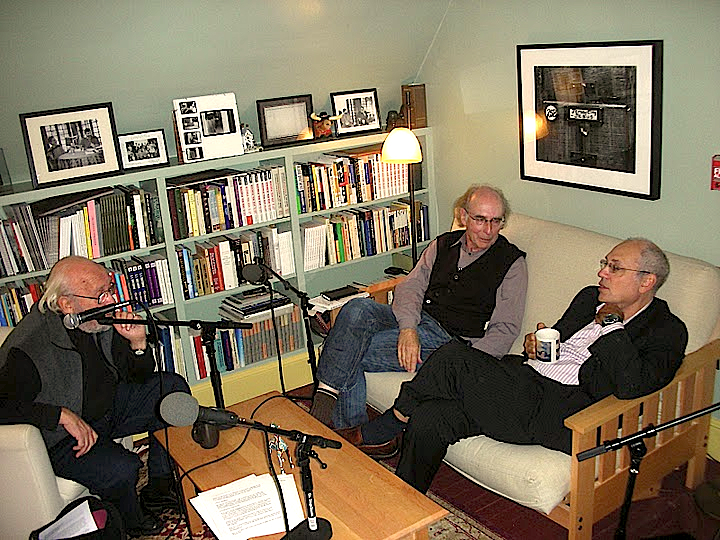 Toward the end of this episode Al and Julia note that earlier on the day of recording we hosted a live worldwide interactive webcast, featuring Bernadette Mayer, as part of the “ModPo” open online course. The photo atop this episode entry is a screenshot from that webcast. You can watch it here. Our engineer for this episode of PoemTalk was Zach Carduner, and our editor is Amaris Cuchanski. at five p.m. on the day before March first. while the sky turns violet. out of the blue looking pink in the light. It's getting grayer and gold and chilly. It's the yellow dust inside the tulips. It's the shape of a tulip. It's the water in the drinking glass the tulips are in. It's a day like any other.